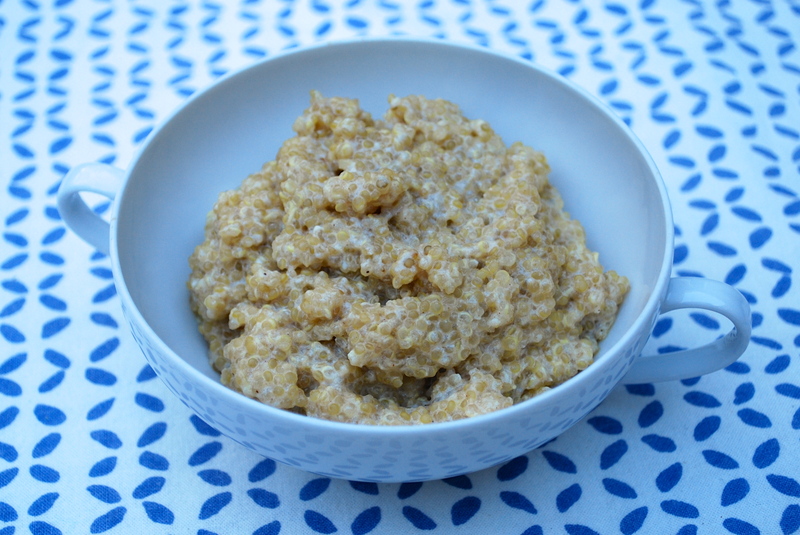 Breakfast Quinoa | Time to Cook! I’ve also been curious about breakfast quinoa! I eat oatmeal every morning and absolutely love it and it’s many variations, but this might be a nice change! Hope you like it, Ani! The question is can you get your husband to eat it ! I’ve made this a couple times now and really like it. I use non-dairy milk (which is a bit sweeter) and throw in some dried fruit (raisins, goji berries…) so I end up using less brown sugar. I also love Penzey’s “Cake spice” and use a good 1/2 tsp of that instead of plain cinnamon. Great recipe Susu! PS: Reheats good too.